I am really excited to be able to share OPI's new Spring/Summer 2011 collection with you all, the Texas Collection! This is a rather large collection (12 polishes in all) so I am going to split this up into two posts. First up we have the "sorbet-like" finish polishes. These polishes are all rather sheer (which is the point) and also extremely shiny on their own. 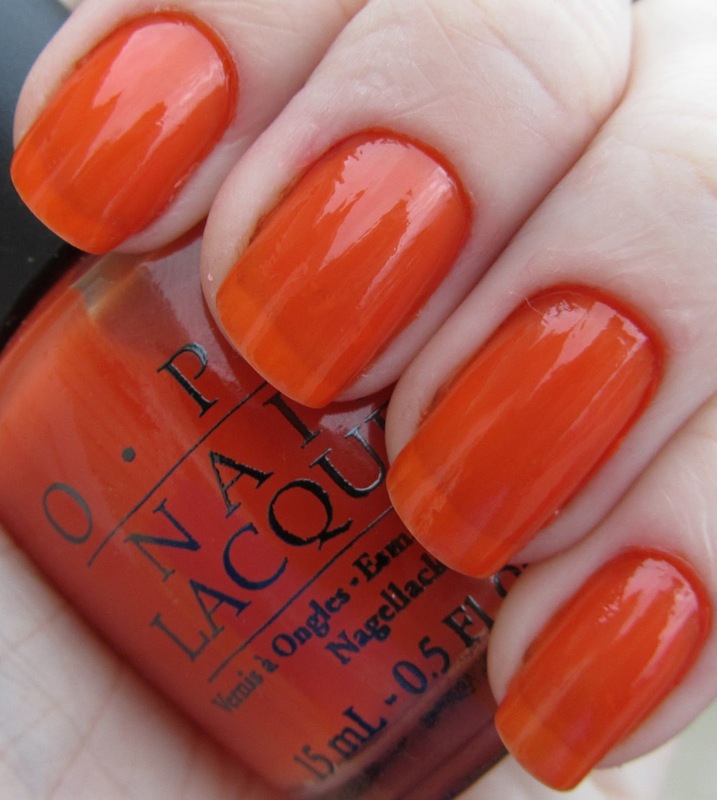 All polishes shown are three coats, with no base or top coat. Photographs were taken outdoors in the shade, with no flash. Do You Think I'm Tex-y? Y'all Come Back Ya Hear? If I am being completely honest, I was really not expecting to like these. I usually hate visible nail line and like my polishes nice and opaque. However... I am kind of in love with this finish! There is something so cool and summery about the look... it reminds me of a popsicle. The formula on these is pretty good - a bit thin but it went on nicely, didn't pool and looked great at two or three coats. These are also really, really shiny without topcoat (although I still wore a topcoat when I wore Guy Meets Gal-veston as a full mani, just to make it last). I know some people have been upset because (a) they are so sheer, (b) they are "just more jellies, not something new" and (c) there are several similar colors. However... I actually kind of like the sheerness now that I have worn them, I personally don't have many nice jellies, and it is nice to have range of colors for various skin tones. Again, I went into this kind of expecting not to like them but I have to say, these are really very nice polishes. 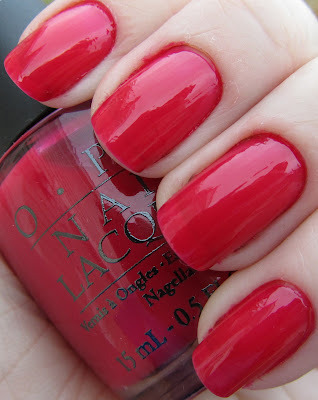 Hats off to OPI! What do you all think? Do you like the sorbet-like (or jelly) finish? Does the VNL really bother you? Will you/have you already picked any of these up? Look for the shimmers and the cremes coming up tomorrow! I'm kind of on the fence! I like them on other people, but I know that the VNL would bother me if it was my manicure. The colors are pretty, though! I am trying so hard to resist buying these but they're so gorgeous in all the swatches I've seen. They look like gummy candies! I love the Big Hair Big Nails! That's my favorite of these 6! I am looking forward to the next post because those are more the colors that I was looking into buying! but these are rather nice as well! 1) For Houston We Have A Purple; for the caption you put a "bright berry purple shade" and I totally read it backwards and thought a "berry bright purple shade" and thought you were making a joke. Like berry = very. HAHA. I'm so lame. 2) Thank you for finally explaining VNL. I never knew what it meant before but I finally put 2 and 2 together. HA!